Top real estate agent/broker for the Temecula and Murrieta area for 12 years. She has historically had the highest number of listings and sales in the area and surpasses the customer service skills and knowledge necessary to either be the listing or selling agent. She is always up to date on market trends and knows all neighborhoods comparably to achieve the best outcome for her clients. Ms. Roberts also develops personal relationships with her clients and truly listens to their needs and tastes, which simplifies the house hunting process to the specific requirements that the clients ask for. And lastly, Kristi Roberts fights for her clients to get the best deals through her successful negotiating skills and outstanding relationships with other realtors and lenders in the community. She also knows all of the home building & remodeling resources and can provide referrals for any home improvement project that a new home owner or seller is pursuing. We just wanted to take a minute to thank you for an outstanding job in helping us from renting, managing and selling our home in Winchester, California. When it came to sell our home you stepped up and did a great job through the entire process from marketing to closing. From day one, you made it your goal to help us from renting to selling our home; for that we are very grateful we choose you as our realtor. You were extremely willing to help in any way possible. Your attention to detail and ensure everything went smoothly and no matter what the obstacle was; you found a way around it. 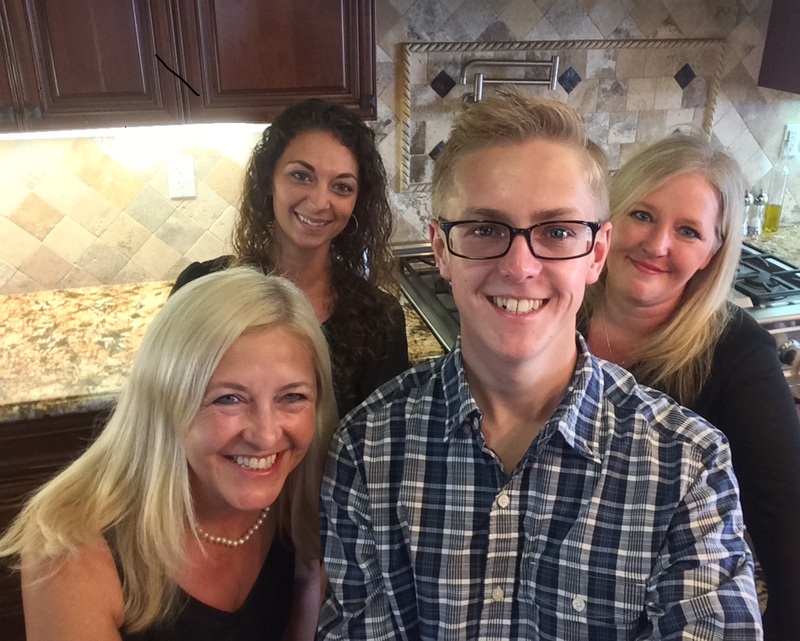 Kristi Roberts is truly one of the best realtors we have ever worked with, she is very knowledgeable and in touch with local real estate market in Temecula. I have nothing but good things to say about Kristi Roberts. We have used her as our real estate agent three different times now over the past 11 years. She sold two properties for us and represented us while buying our most recent home. She is very knowledgeable and experienced in her field. In addition to possessing great knowledge, she is professional and personable. She is responsive to phone calls, emails, and completing all of the details in a prompt manner. The home buying/selling process can be stressful enough and with Kristi you can relax with the trust that everything is getting done and getting done right. I give her my highest recommendation! After interviewing several realtors in the Hemet area I decided to hire Kristi Roberts to sell my rental property. Since I live almost 2000 miles from there I needed someone who could get the house ready for sale. This property needed a good deal of cleaning and repair after the tenants moved out. The locks had to be changed and the garage overhead door repaired, for instance. Kristi worked quickly to get the huge amount of work accessed and completed. She was my eyes & ears in getting everything looked at and bids obtained. She kept me informed, on the phone, through e-mail and texts as the house (inside and out) was brought to readiness for the sale. I accepted a bid and just before closing we found out, through inspection, that there was termite and dry rot damage. Kristi immediately had this situation under control and the closing went forward only a week late. I can’t say enough that I chose the right realtor! Without Kristi I don’t know how I could have gotten this property sold without even more expense and worry. I have bought and sold a few houses over the years and have handled all that goes into that as a homeowner. Kristi truly went beyond what I would have expected my realtor to do. I could not have imagined buying our first home without Kristi! I was always a little skeptical about realtors and felt like all they wanted was to make the sale. Kristi was never pushy and allowed us to take our time. When we found our home she helped us negotiate the best price possible since it was a short sale. Later, we went through a lot of stress with the loan company and our closing date. Kristi helped tremendously and without her I know we wouldn’t have closed on time. I am so thankful for everything she did for us and getting us into our dream home. I recommend her all the time to anyone who is looking for a realtor. After our kids moved out of the house, we decided to downsize and to move to a smaller place. Due to a number of various circumstances, the sale had to be a short sale and we needed a realtor with extensive experience in that area and also to be familiar with the current Temecula – Murrieta housing market. For the past two years I have been researching local realtors and we selected Kristi Roberts and her team. After an initial person to person meeting, we felt very comfortable with Kristi and decided to work with her and signed an agreement for her to be our agent in this short sale transaction. After we executed the contract, within a couple of hours the listing was posted on the web and over the first weekend we received more than 10 offers. By the end of the second weekend we had about twenty offers. During the next meeting with Kristi we selected an offer and from this point Kristi and her team took over. All the necessary paperwork required to sell the house was completed in a timely fashion and our short sale was approved by the bank shortly afterwards. The closing of the sale occurred within the required time. In summary, we were very pleased with Kristi and her team’s professionalism, expediency and attention to details handling the sale and all the related issues. We recommend her and her team highly and should we need a realtor in the future, we would definitely use her again. Kristi Roberts is an excellent Agent to work with. She is extremely patient and professional and yet aggressive when it is called for. I’ve worked with several agents and Kristi has been the most educated in her field that I have experienced. Kristi got me into a home when no one else could. Our family highly recommends her. While making the tough decision to sell our house we loved through a short sale, it was fortunate that we found Kristi Roberts. She and her staff helped us through the difficult process that our bank created with the changing requirements to the documentation needed for the short sale. Her staff was there to guide and negotiate the issues between us and the bank. We are grateful for all the work she did, to help finalize the sale and making the best of a difficult chapter of our lives. I would like to thank you and your whole team for the service excellence that was provided during the sale of our home. We had moved out of state during the process and I thought this was going to make the process of the paper work that much harder, but it was actually a very easy process, like we hadn’t moved out of state at all. I would recommend you to anyone who is selling their home. Kristi and team THANK YOU for making the sale of our home a very easy process. I wanted to take the time to sincerely thank you for the extra time you took with the both of us during our divorce to possibly sell our home. This was such an emotional and very difficult time and having you there to guide us in a direction that would be beneficial for the both of us was truly appreciated. You were very helpful and knowledgeable as well as very professional in dealing with both of our concerns. Even though the Short Sell did not work out for our situation, your concern and honest direction allowed us to move forward with other options . Your referral came at just the right time, as It is truly hard to know who to trust during emotional and difficult times, thank you so much for everything. Dear Kristi, I wanted to personally thank you for all the help you have given us. You have been the consummate professional in dealing with this entire process. Your knowledge of the real estate industry, your kind and helpful attitude that you showed throughout the whole process is indeed appreciated. You represented us extremely well and were always available to answer any questions that we had. We entered into this process with fear and trepidation and your kind and friendly manner, knowledge and demeanor quickly inured our fears. Since the sale of a home is not something that one often does, we never felt as if we were left on our own. You guided us through every small detail & made this transaction & made it a very smooth & painless venture. I can certainly see why you were so highly recommended to us. Thank you again for being our agent, representative and friend. Mark called and gave me the good news, and I saw your post on Facebook too! I have to admit it brought tears to my eyes to see my house, I so loved that house, and wished we didn’t have to move from Cali, but work takes power over wants! I thank all of you as well for all the strings you had to go through to get the job done I bet you all are glad that one is wrapped up.. It’s been a pleasure to know you Kristi, take care. Kristi Roberts was our agent for our recent sale of our home and purchase of our new home. Her professionalism and knowledge of the market in the French Valley/Temecula/Murrieta area was imperative for us to sell our home quickly. Kristi was able to sell our home within 3-4 days and at our asking price which was even higher than what other agents had suggested we sell our home at. With her aggressive negotiation skills and real estate knowledge we were able to purchase our new home in the same area at a lower price than what the seller was asking. We thank her for her assistance and the personal touch she added to everything. Thank you Kristi! Please contact Kristi Roberts for all your real estate needs. You will not be disappointed.